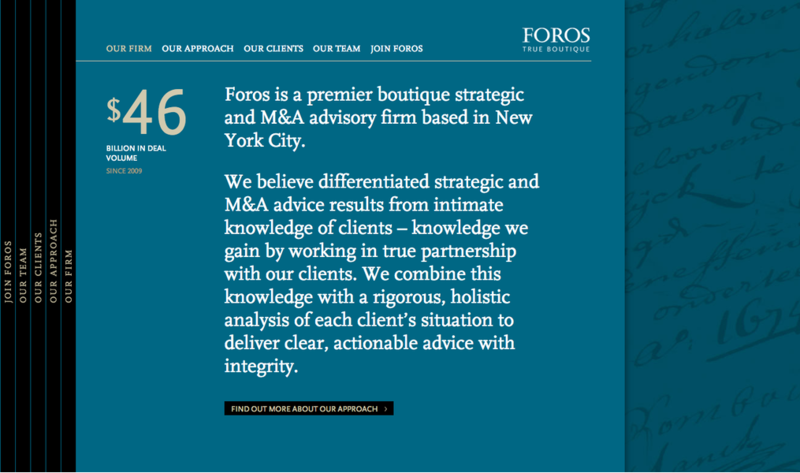 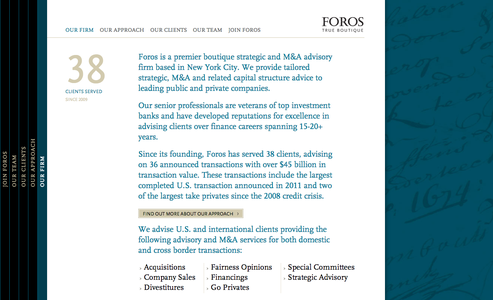 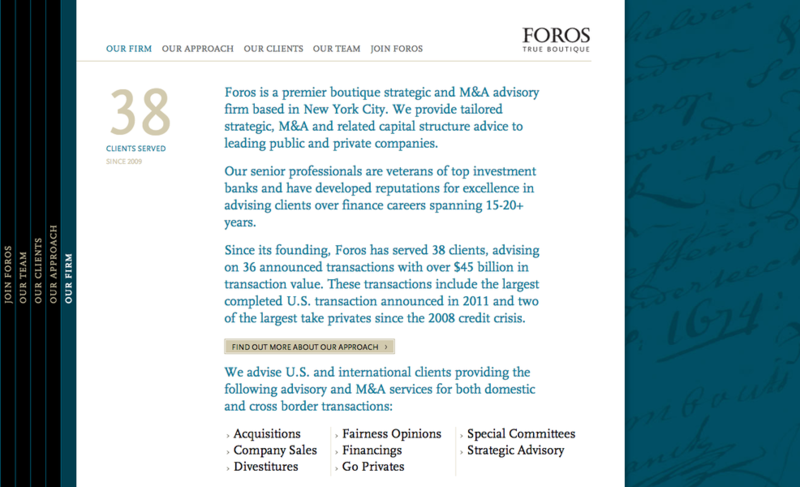 In a landscape of ubiquitous financial entities featuring high-rise buildings and executives shaking hands, Foros stands out in its relevant, classic and timeless visual approach. 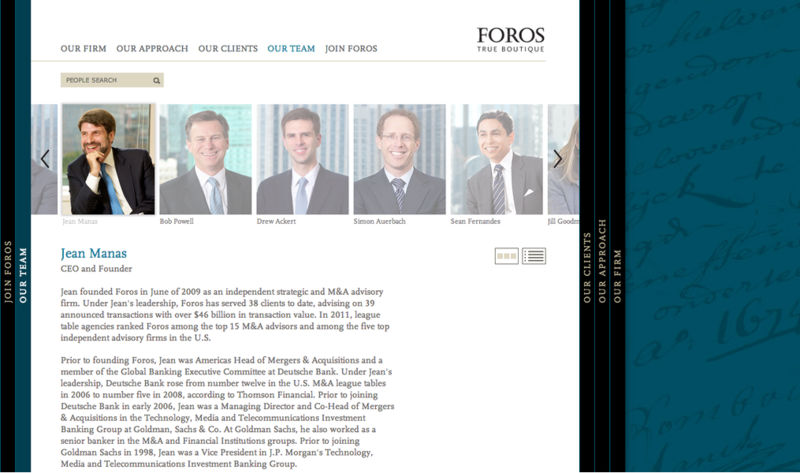 The simple navigation easily pinpoints their priorities, including their greatest asset: their staff, with all team members presented on the site. 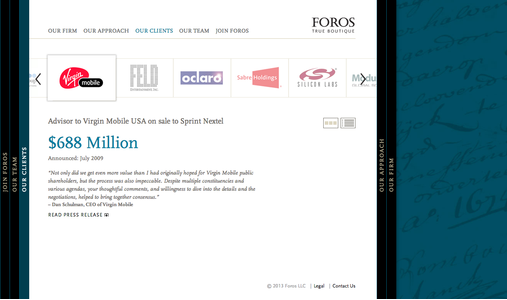 The site is optimized for mobile devices.